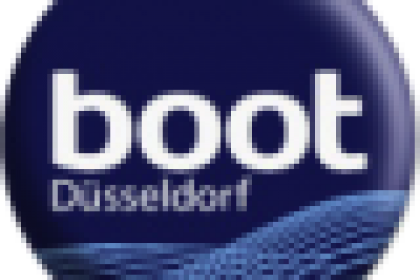 2014 boot Düsseldorf was a great success with more than 248.000 visitors (which is up by 10% compared to 2013). Of these, no less than 48.000 persons came from 65 countries outside Germany, which shows Düsseldorf’s international importance. 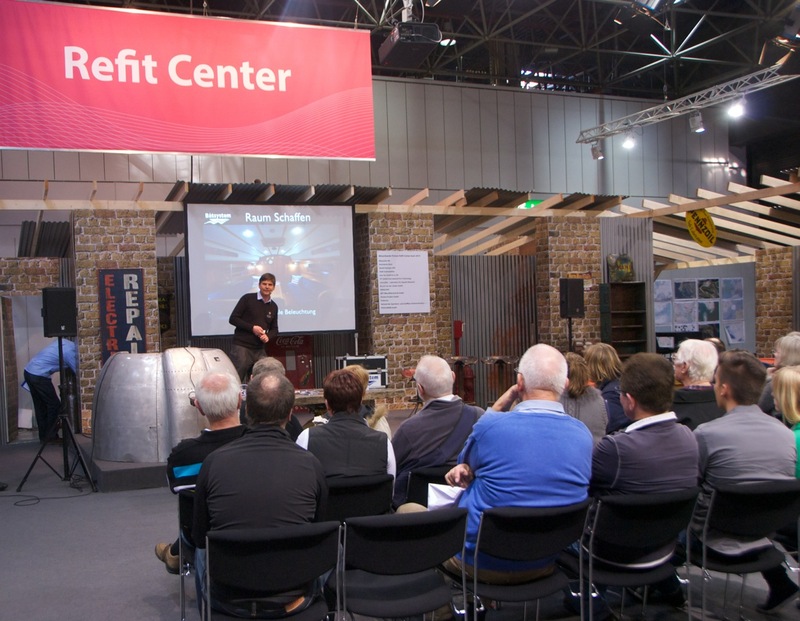 The organizers are especially talking about the “booming market for equipment” which was emphasized by the new Refit Arena in Hall 11 and a never-ending stream of visitors in the equipment halls 11 and 12. 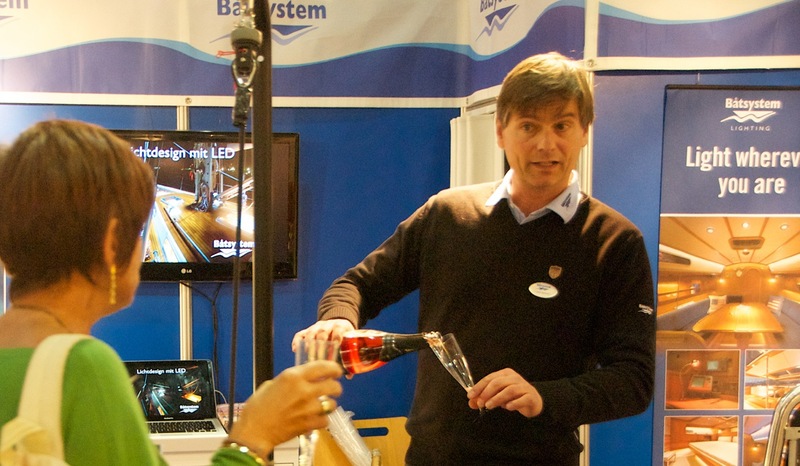 For me personally, it was a busy show holding three talks on three different stages during the entire nine days of the show and, at the same time, I was based on Båtsystem’s stand, explaining the LED lighting system, bowsprits, davits and other stainless steel products that Båtsystem supplies. 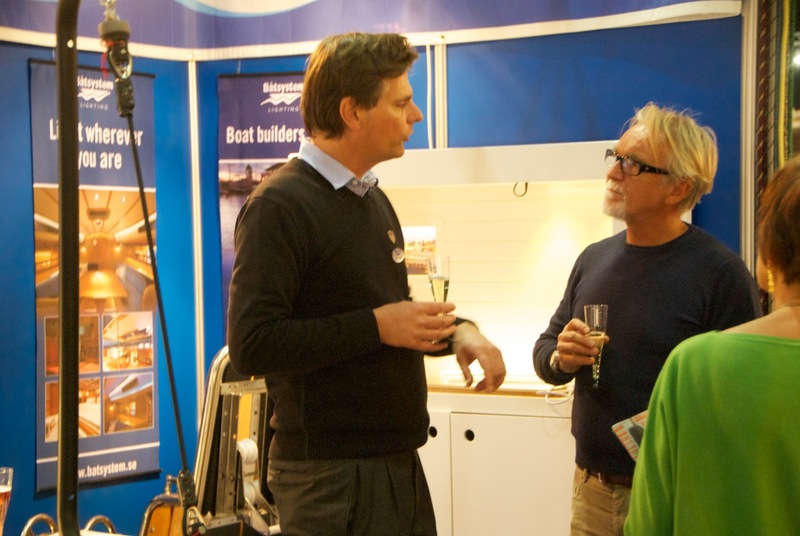 I had meetings with managing directors and procurements managers of the leading boat yards in Europe, who showed great interest in the LED lighting concept. I have been busy ever since the show traveling all around Europe to the yards acting as their “lighting consultant”. 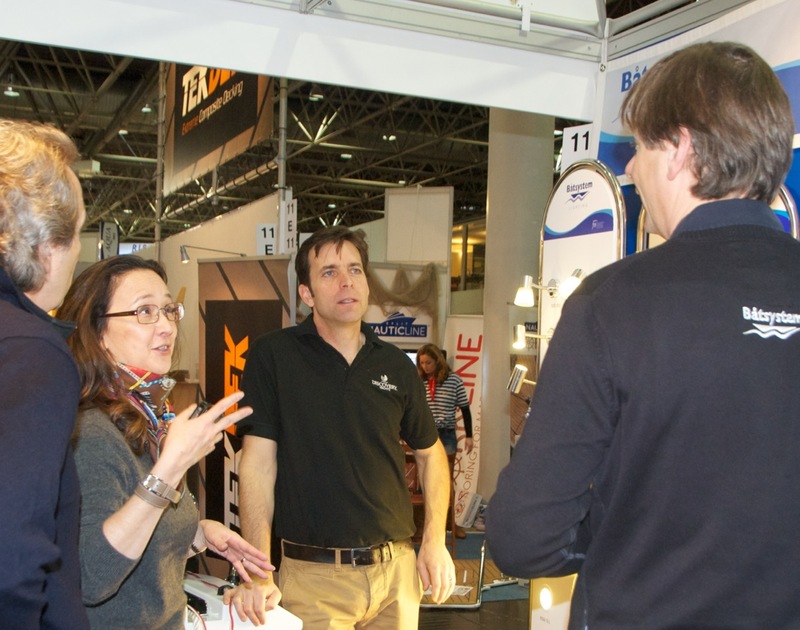 For sure, there is a lot of interest in LED lighting. 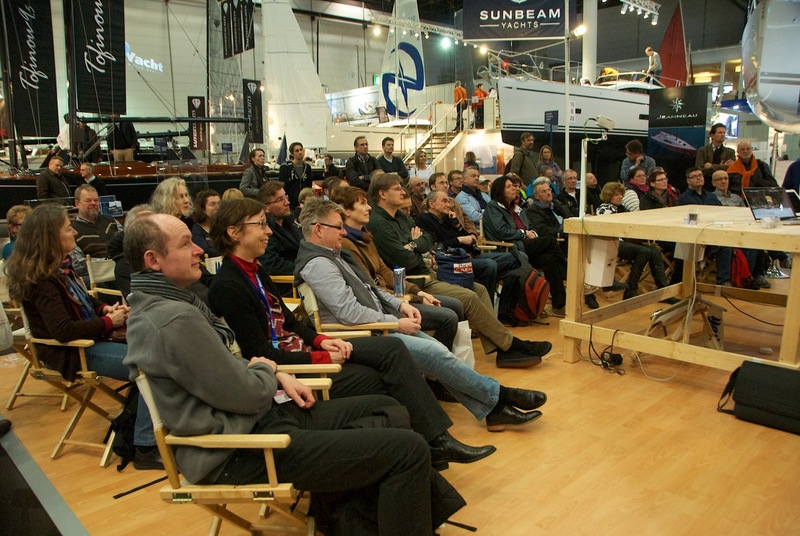 The talk on “women and sailing” fell in good soil this time, which is not a matter of course, and I aways consider this talk as a dance on the edge of a knife: So easy to fall and nobody to catch me on either side of the knife’s blade. 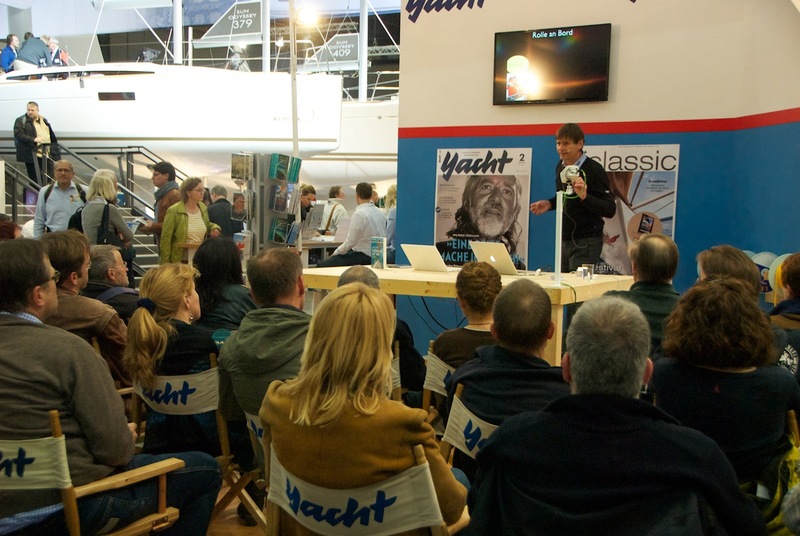 I would like to thank all who came to boot Düsseldorf and to discuss you sailing dreams and your boat equipment. 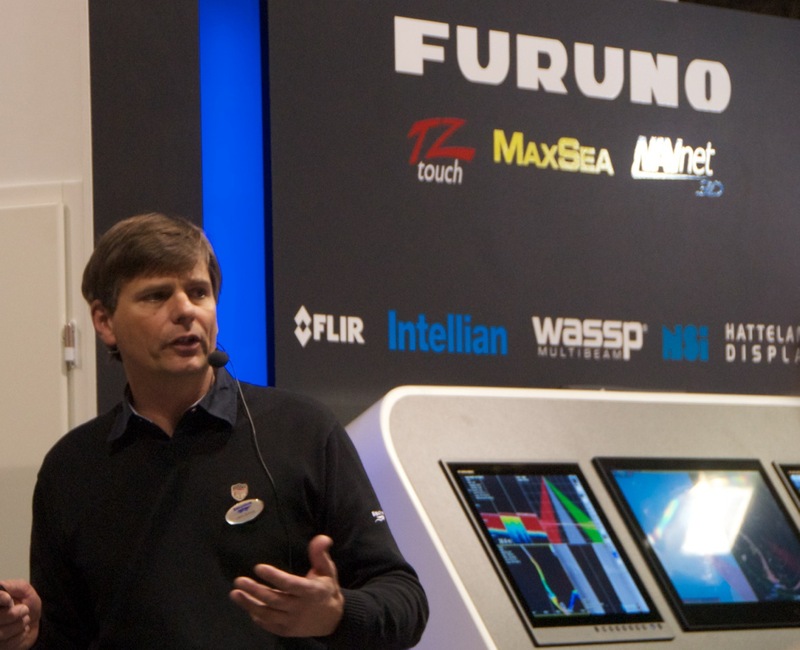 “Was wünschen sich Frauen vom Skipper?” Blauwassersegler, Yachtmaster Instructor und Charterskipper Leon Schulz, bekannt durch sein Buch “Sabbatical auf See”, wird exklusiv auf dem Stand der Yacht einen weiteren seiner populären Vorträge halten. Diesmal geht es um das Thema “Frau am Ruder”. Leon Schulz fragt sich warum oft nicht alle gemeinsam Spass beim Segeln haben und ist der Frage auf den Grund gegangen. Er nimmt kein Blatt vor dem Mund und fragt sich woran das wohl nur liegen könnte? Er berichtet von Studien, Unterschiede zwischen Männern und Frauen, seinen Erfahrungen und gibt Tipps wie man als Paar harmonisch miteinander segeln kann. "The equipment market is in excellent shape. Refit is the buzz word, and there is currently strong interest in maintaining the value of existing boats. 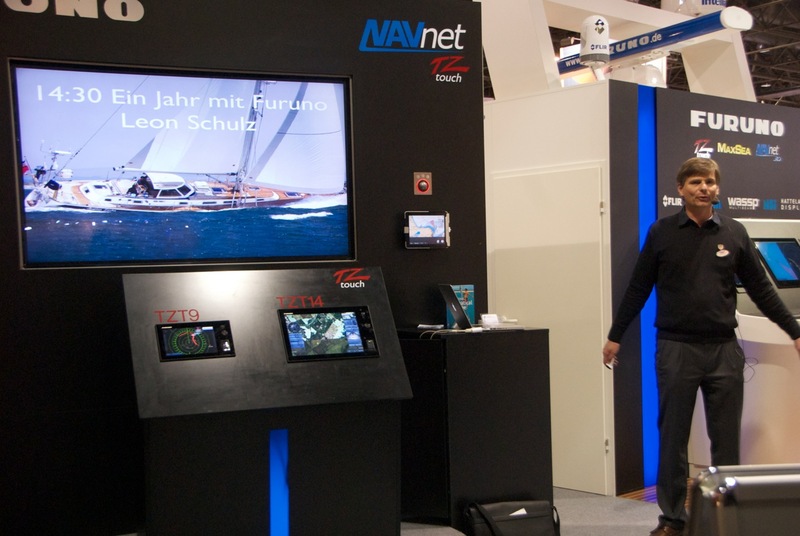 350 international exhibitors are offering everything that's necessary and possible for smartening up boats and furnishing them more luxuriously."